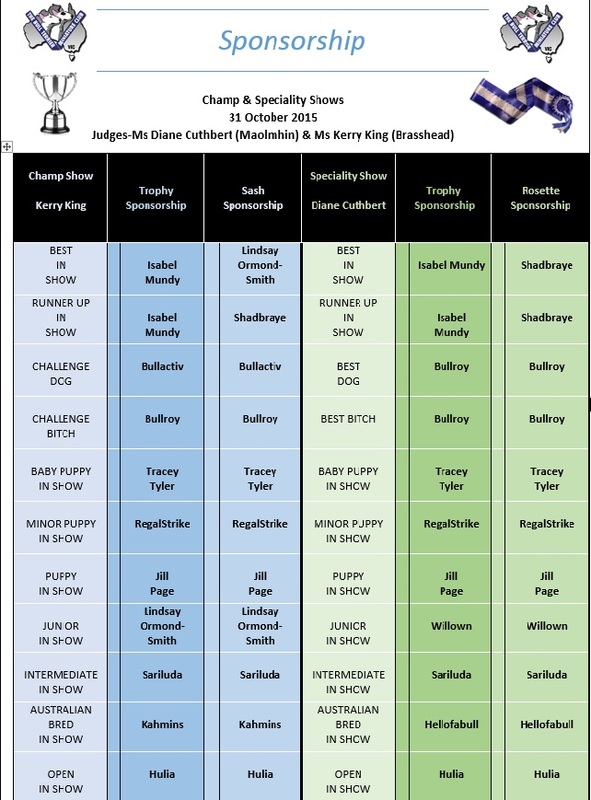 The Bull Terrier Miniature Club of Victoria Committee would like to thank our Judge, all exhibitors and the members who participated in making this a great event. Also a very big "THANK YOU" to all of our kind sponsors, without your generosity these events would not be as successful. **Please note that all care has been taken when transcribing these results and should you identify any spelling errors or incorrectly listed results it would be appreciated if you could direct these to the Secretary for resolution. Many thanks.